It's almost as fun to see other people's costumes as it is to dress up yourself. Many seniors would love to check out the cool characters fellow residents become for the night, so consider setting up a parade. If the weather is nice, have everyone promenade along the sidewalk during daylight hours for fun photo opportunities. Or, walk (or wheel) the halls so every resident can take part. You could also organize a grandkid version of the parade where grandparents can see their little ones in costume while they line the halls in comfy chairs. Seniors could even hand out candy to visiting kids as they admire the fun outfits. Many senior living communities have a decorating committee that gets together to plan and execute seasonal decor. It's fun to spruce up hallways, dining areas and game rooms with some festive elements. For fall, seniors can think of the harvest with cornucopias, hay bales and bunches of fake leaves. Halloween decor could include spooky elements like ghosts and ghouls alongside carved pumpkins. Seeing these accents around the community will bring cheer to residents, visitors and staff members. 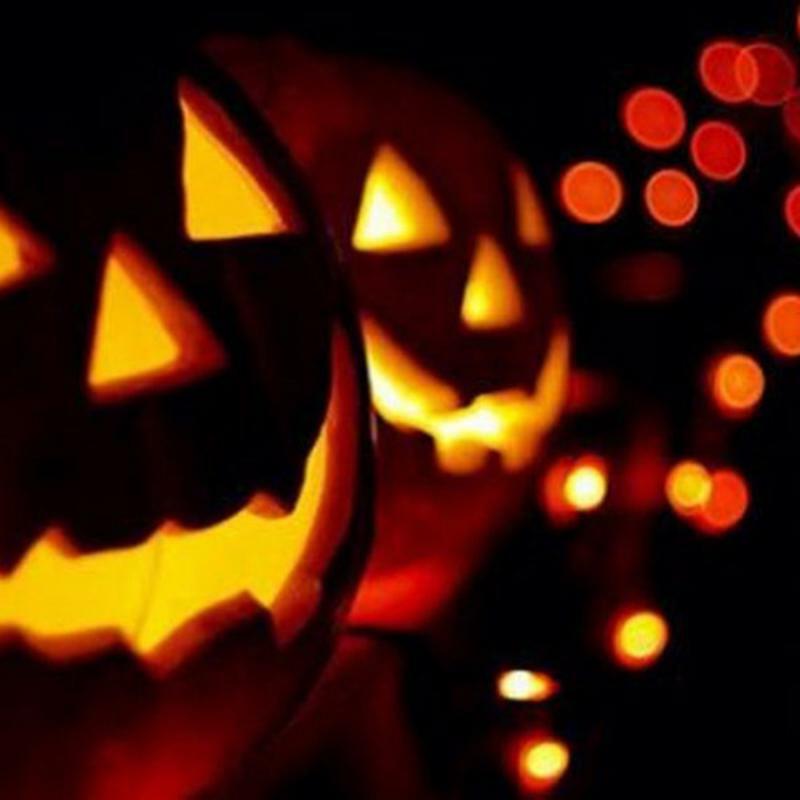 Jack-o-lanterns are a blast to make and enjoy. One of the more memorable parts of Halloween for many people is getting to gut and cut a pumpkin. These giant gourds transform from smooth and adorable to scary and horrible with just a few slices of a knife. Safety is a key element here, so work with the senior community staff to have extra young hands on deck that day to help carve. Seniors can take a stab at doing the pumpkin carving themselves or simply choose the design and have a designated helper execute the plan. You could even do this on a fall family day so seniors' loved ones can get involved. All the fun events these days have photo booths. At weddings and even the zoo, these silly attractions are popping up everywhere! Create a photo booth at a senior community by setting up a spooky background like a patterned sheet covered in bat images. Then, bring on the props. From pumpkin-shaped eyeglasses to black and sparkling orange boas, get creative! Funny glasses, hats and fake facial hair are all popular options. Residents can use their phones to take pictures themselves or have someone taking shots with a more professional camera. Share fun community portraits with the staff and they may just write a blog post and share a photo album of the day on social media. Don't forget the best part of this holiday – candy! Make sure your senior loved one is well-equipped for haunted visitors with an assortment of treats. Think sugar-free for diabetic fellow residents, plus chocolate and maybe some sour gummies.